Before mutants had revealed themselves to the world, and before Charles Xavier and Erik Lehnsherr took the names Professor X and Magneto, they were two young men discovering their powers for the first time. Not archenemies, they were instead at first the closest of friends, working together with other Mutants (some familiar, some new), to prevent nuclear Armageddon. In the process, a grave rift between them opened, which began the eternal war between Magneto’s Brotherhood and Professor X’s X-Men. The last movie in the X-Men franchise was some time back, I reviewed it in 2009 here – Movie Review — X-Men Origins: Wolverine — ACTION! . It was actually a pretty decent movie for action fans, nothing special or Oscar worthy but certainly not terrible. 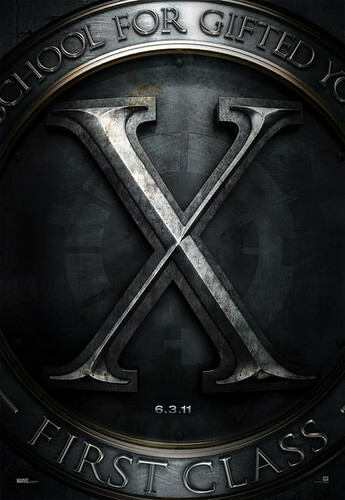 Before that it was X-Men III way back in 2006 – Movie Review — X-Men III: The Last Stand. I’ve always been a big fan of the X-Men franchise and I honestly don’t feel they’ve had a bad film so far. So naturally I was quite excited about this franchise reboot, as so far all of the reboots have been wonderful – especially Batman Begins/The Dark Knight and Star Trek. Well onto the film itself, it’s a bit of back story – mostly with characters you’ll recognize but probably didn’t know much about. This is where this movie comes in, it really starts out when they are youngsters and it explains a lot of recognizable features in the previous X-Men movies. James McAvoy is just excellent as the young Charles Xavier – he really carries the part fantastically. He was pretty decent in Wanted — Better Than Expected! – but hasn’t really had any mainstream success. I know him from the absurd but extremely amusing UK TV series Shameless. The rest of the casting in the movie is excellent too, really bang on. If you watch Mad Men, you’ll recognize January Jones (Emma Frost) – and damn she’s hot in this. Yah baby, that’s what I’m talking about! Lenny Kravitz daughter is pretty cute too (Zoe Kravitz as Angel) and of course the young Mystique (Jennifer Lawrence) is very cute in her non-blue form. That’s enough about the chicks.. 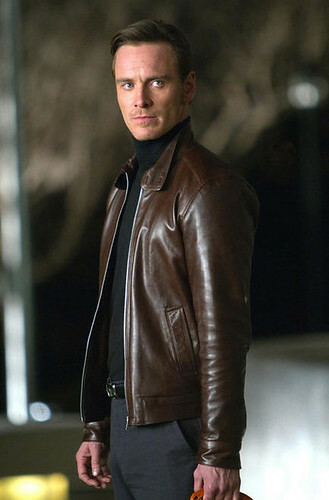 Apparently all the girls are going lala over the young Magneto, all I’ve been hearing about this movie is swoons and comments on how hot he is. He’s not a particularly well known actor but you might recognize him from Inglourious Basterds or Band of Brothers. He is very good as Erik Lehnsher however and really nails the feel of the character, you can see the stance of Magneto develop through the movie and how the relationships are forged and broken amongst the X-Men. The pacing of the movie is excellent, it’s very gripping and you really start to feel something for the characters. The action sequences are fantastic and I love how they use a bit of real history to set the scene with the Cuban Missile Crisis. I for one can’t wait for the next movie in the new, refreshed X-Men franchise! It’s doing fantastically well on IMDB with a score of 8.2 – I suspect it might creep into the Top 250. I personally think it deserves to be there. I think this is probably the best movie for me so far in 2011 and I give it a super sonic 9/10. Movie Review – Wanted – Better Than Expected! 5 Responses to Movie Review – X-Men: First Class – SUPERB! u forgot to mention nicholas hoult with his perfect american accent! Did you notice James’ accent switch to his scottish one when he acts in the climax parts of the show? But it was a fantastic movie! Worth the lack of sleep! kimberlycun: Oh damn yah, Skins ftw! Bryan: Hahah yah it had a bit of an undertone. Mark: LOL yah maybe, awesome film tho. Shane Ryan: Yah, brilliant franchise reboot.